Chilly November is the start of the holiday season and a time of crazy shopping sales. So, whole e-Commerce has been buzzing about the best ways of profit increasing and attracting the larger audience. And as usually, we decided to present the digest of most popular articles of the previous month that are must-read info for any online businessmen. Thus, check the list to keep up with the latest tendencies and rule in your niche. All businesses need to be ready for the holiday season offering tons of discounts and specials. Recently < b> blog published an article called Feast your eyes on 3 videos to help improve your store’s sales with the metrics and hints that would be a useful guide to get ready for fest time. Check this post and glean an advice about traffic and sale thresholds, bounce rate and average order value. Other blogs are torn with kit and kaboodle of posts that give recommendation for a successful trade during Thanksgiving, Black Friday, Christmas and other happy winter days. Thus, we recommend you to pay attention to HubSpot post with its 9 Tips for Smooth Holiday Ecommerce. Also, ReferralCandy presented 6 Critical Ecommerce Store Updates To Make Before The Holidays discussing the best preparations for upcoming holidays by Shopify experts. In addition to these publications, some writers have decided to share a closer look at particular tips. As promotions become an essential part of marketing, you need to implement the best practices for the realization of your ideas and increasing income. Discover 5 Tips for Planning Successful eCommerce Holiday Campaigns and be ahead of the field. In addition to the holiday topic, you may find interesting the routing problems like increasing the conversion rates that is shifty and unpredictable. Even if your webstore is absolutely perfect from the technical point of view, it can be not really enough to convert visitors into customers. Check Lessons In Conversion Optimization to become a guru of e-Commerce. Alongside, e-Commerce bloggers discuss the latest trends like beacon usability and future popularity. This notion is ready to make a breakthrough in marketing. And one of the most read articles, Beacon Use In Storese Boosts Engagement, Purchase Intent, presents information illustrated with two surveys. They clearly show how this technology effectively engages customers, so if you want to stay up-to-date, take this article into your board. Many e-merchants make a big mistake forgetting about their customers and importance of rewarding them. Don’t neglect people that make you a revenue! Explore 20 Ways to Reward Repeat Visitors on Your Ecommerce Site and they will feel appreciated. Striking look is the first and significant step to keep an eye of a customer. Sure thing that every vendor know that fact, but only a part takes into consideration it. Catalin Zorzini, Ecommerce Platforms writer, has made a list of Best Ecommerce Themes of 2014 for WordPress users and those who still has any hesitations about the importance of stylish design. Enjoy! 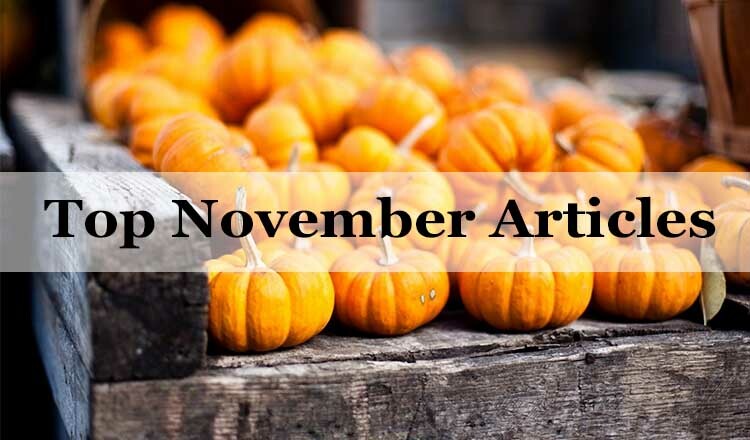 That is the list of November blog articles that can help to extend your possibilities on e-Commerce market and get under the processes skin. If there are other blog posts you think can be a hand of help for e-merchants, share them in the comments below.